Wii Sold an Estimated 236,000 Units Last Month in U.S. Were any of them purchased by yourself? The latest figures from market research firm NPD shows Wii sales in the United States last month were higher than expected, and conversely, 3DS sales have dropped compared to the previous month. Equity research company Wedbush Securities predicted that Nintendo would sell 225,000 Wii consoles in the month of May, which wasn't far off the mark as a total of 236,000 Wii consoles were sold according to NPD. In the same month, Microsoft sold 270,000 Xbox 360 consoles, whereas Sony only managed to shift 175,000 units of the PlayStation 3. Nintendo's handheld system hasn't been selling as well as its home console brother, as 3DS sales were down 50 percent compared to the previous month, which according to Gamasutra's calculation, puts 3DS May sales at around 97,000 units. With these figures, total 3DS sales in the United States are now sitting at just under 700,000. Earlier this week, we reported that Japanese 3DS sales have surpassed one million, giving Japan the honour of being the first region to do so with Nintendo's latest handheld system. Now that Wii U has been officially announced, it will be interesting to see what Wii hardware sales will be like for the month of June. I guess people aren't embracing the 3DS as much. i hate old people and children for this reason, not that normal people wont buy wiis because they already bought them years ago so they dont need to buy one now. 3DS needs some games. Games that will sell the system. 3DS is getting on track a lil bit by bit. Now we have a browser and eshop and soon video, as well as great titles. One of them would be me. I got tired of replacing the laser in my old one, so I bought a limited edition version for cheap. I would buy a second one for my den if there were a convenient way to shuttle the save files between them. But to have a second one with none of my downloads, half of the save files anchored to my main Wii and the rest of the save files only transferrable via tedious SD-card swapping, it's just not worth it. One day I'd accidentally delete a 300-hour save file and wind up throwing both Wiis out the window. Please don't do this with WiiU, Nintendo. 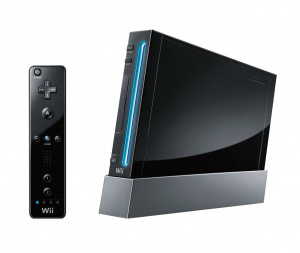 The Wii did just get a price drop so it's not terribly surprising to see it do those numbers. Out of that 175,000 PS3 sold one was for me! Not had a static console since the SNES, I'm holding out for the Wii U. Mind you I've had plenty of portables (Gameboys, GBA, DS, DSi and now 3DS) and PeeCees so I'm happy. The 3DS isn't doing very well because the console is simply too expensive and the games are far too expensive. I remember that moment, wireless, point screen, and new controls. I remember it was the most advancing consol ever so far. Now we have all these other systems that are equaly or better than the Wii. So my point is the Wii U won't sell is much because this is the same technology. The point screen, wireless, and new controls Wii. We have seen this technology in use alot more than 5 years ago. So that means nintendo needs to bring a new idea to the world. Maybe gogles that let you see all around your room? This is the same idea with new options you can do and after you play it for a while I know you are going to get bored. My plan is to eventually buy a PS3 (I want like 3 games), but the $300 price tag, much like the 3DS, is way too much. People yap about the 3DS costing too much, and while it does, the PS3 is 5-year old tech and should be down to like $150 itself by now. Same for 360, though that's selling like hotcakes for whatever reason. If Mask of Miracle and Mario Kart were already released, the 3DS sales would've been at least 50% more imho. Let's be honest though, the wii and the 3ds, all things considered, is STILL selling very well indeed. 3DS needs a price cut. End of story. If it hits $200 or less, I can see getting one for my kids to share around xmas time. Otherwise they're going to go without. If they drop it to $150, which is where it should be, I would probably buy 2, one for each of my kids, so I'd suggest they do that. I'll get a 3DS once the good games arrive, but by then a price cut will be imminent and I'll wait for that. The only real big name game that released for 3DS in the past month was DoA. Low sales aren't really surprising, if Street Fighter didn't convince you to pick up the system, DoA probably won't either. You can bet there will be a rush once OoT drops. Personally, after the Vita announcement, I'm holding off, because I think the 3DS may get a price drop around the holidays to compete. The most exciting things for me right now on the system are Mario Land and Links Awakening on the VC and OoT (which I'll probably buy on launch day without the system just to get the free CN soundtrack). The Wii's probably going to sell as long as the PS2 did. @15 I do believe the wii u will sell, that gogles thing u just pointed out is the same thing as the Wii U controller. On some games it will be with out a TV and lets you see all around your room . I do believe that this new console will be different from the wii BUT only because of the controller which they had made clear this is what the new console is mainly focused on. And if u dnt believe in nintendo, then what the heck r u doin on this site? Yep, I got a Limited Edition Red Wii for the living room so now I've got that an my launch white Wii. It's weird how 240k sold in a month is "the Wii is doomed" but 360 selling 270k a month is "Microsoft is winning this console war! ".